In Rhode Island, winter shore and ice fishing is a popular outdoor activity. During the winter season, anglers catch brook trout, rainbow trout, pike, and other species in Rhode Island’s lakes, ponds, and other waterways. For the winter season, a number of Rhode Island waterways have been stocked by the Rhode Island Department of Environmental Management (DEM). 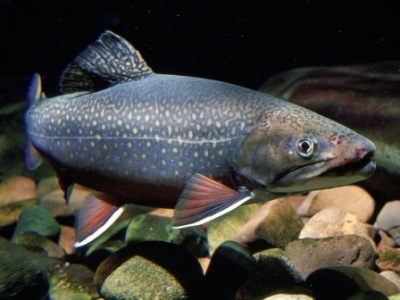 Some 1,200 rainbow and brook trout were scheduled to be stocked into Olney Pond, Lincoln Woods State Park in Lincoln; Upper Mellville Pond, Portsmouth; Carbuncle Pond, Coventry; Breakheart Pond, Arcadia Management Area in Exeter; and the Roundtop Ponds in Burrillville. DEM does not monitor ice conditions in local communities; residents should contact their local recreation departments regarding ice conditions in individual communities. DEM monitors the thickness of the ice at Lincoln Woods State Park in Lincoln, Goddard Memorial State Park in Warwick, and Meshanticut State Park in Cranston on a daily basis, from Monday through Friday, weather permitting, during the winter months. For the latest information on ice conditions at these three locations, call DEM’s 24-hour Ice Information telephone line, 667-6222. According to the U.S. Fish & Wildlife Service, there are approximately 175,000 recreational anglers (age 16+) in Rhode Island. Recreational fishing contributes more than $130 million annually to Rhode Island’s economy. For more information on freshwater fishing in Rhode Island, visit www.dem.ri.gov.